In today’s modern World of on demand services, it’s easy to consider that everything is within easy reach and just a tap away. It’s all too easy to miscalculate how much fuel we need, or maybe find we’re using far more than usual for whatever reason. A standard fuel delivery service could take anywhere from 24 to 48 hours to arrive, but for those with a very real and urgent need for a fuel or lubricant top-up, this may not be soon enough and could cause issues for your business operations. For this reason, we operate and run an emergency fuel supply service for our customers who require such a service, allowing us to provide a same day delivery service of fuels and oils. We operate our fleet of tankers 24/7, so you never have to worry about running out of fuel. Whether you require an urgent fuel or oil delivery today and wish to place an order, or would like peace of mind for future reference and wish to know more about this service. You can call today on 0800 917 7493 and talk to the team here at Ingoe Oils, who will be able to answer your questions. We work around the clock to ensure that you’re never without your all important stocks of fuels and oils for too long. Thanks to our network of fuel depots dotted around the Country, we’re able to deliver any amount of fuel from 500 to 36,000 litres and upwards, day and night. We are one of the most reliable fuel delivery companies in the UK. Whenever you make an emergency delivery order, we will always get it delivered to you within 24 hours. Regardless of where you are based within the UK, we will be able to complete your emergency fuel delivery. We have an impressive range of tankers in a variety of sizes. This means that no matter how remote an area you live in, we will be able to get your fuel to you. Our deliveries are catered around you. Simply let us know when in the next 24 hours you will be available to receive your emergency oil delivery and we will make sure it arrives at a time that suits you. We have one of the best and most friendly customer service teams in the fuel industry. When you contact us to discuss your emergency oil delivery requirements, our team will ensure your order is processed straight away and a delivery time is arranged. 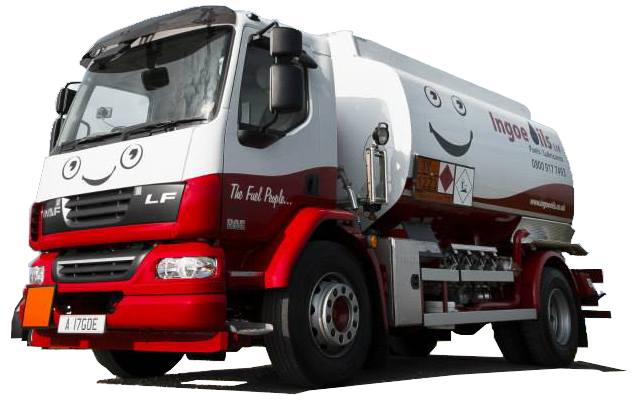 Ready to discuss your urgent fuel or oil delivery order requirements – you can call us today on 0800 917 7493 and talk to the team here at Ingoe Oils, who will be able to answer your questions. If you’re puttting a contingency in place in case the worst happens and looking for peace of mind for future reference. You can still place a standard fuel order and request further information about our emergency refilling service.